In 2010 world Gross domestic product was 63 trillion dollars. 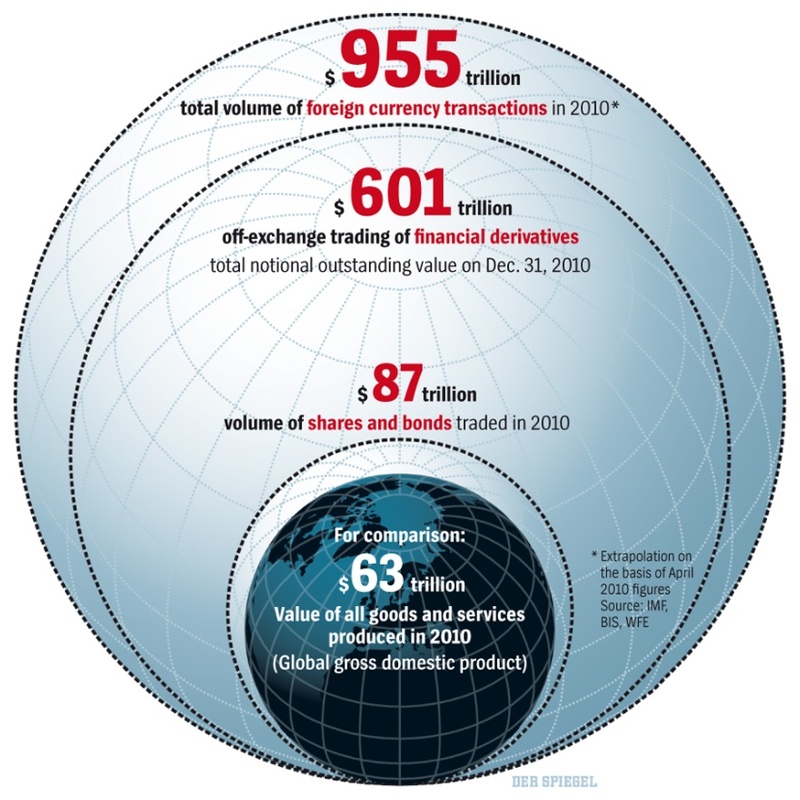 The financial industry is many times bigger than the value of all goods and services produced in the world. 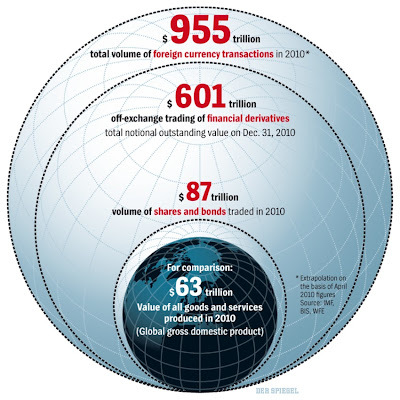 Shares and bonds are about the same value of world GDP, but derivatives trading and foreign currency transactions are ten and fifteen times bigger than world gdp. Every action that you take can result in a negative or a positive impact on your life, so it is important to choose the best actions that will minimize your stress and your financial problems. Many people opt to file for Chapter 13 or Chapter 7 bankruptcy.